The new line of Seven MX Annex gear is one of the best motocross gear combos on the market and are equipped with revolutionary features that make the Annex Staple gear a must buy. 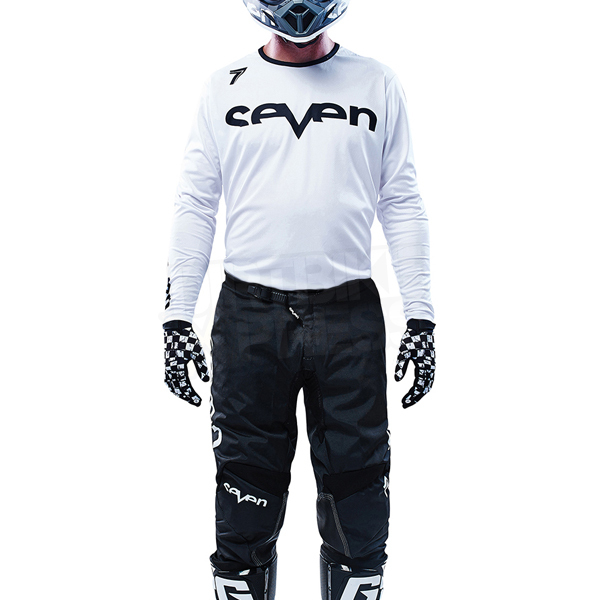 The Seven MX Annex Staple Gear combo comes with a state of the art jersey and pants to keep you looking fresh during your riding season. The Annex Staple line is a clean looking graphic design that is simple, but has perfect logo placement that will make this jersey, pant combo stand out at the track. The Annex Staple jersey has a perfectly tailored athletic fit that helps eliminate bunching, and reduces the excess bulk unlike other jerseys on the market. The Seven MX Annex jersey is designed with a moisture-wicking polyester material to help reduce body heat, and keep you performing at your best. The sublimated graphics on this motocross jersey will last all season long thanks to its fade resistant properties and keep you looking your best on the track, or in the desert. Click Here for Chest Measuring Guide! The Seven MX Annex pants have a race cut construction that maximises flexibility, comfort, and support for the rider. 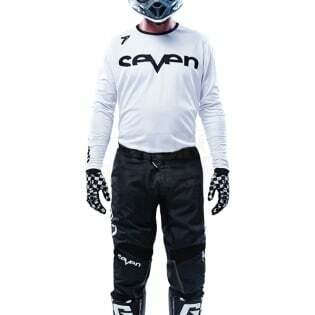 The Rival Fuse pants are made from a durable polyester material that increases breathability for maximum airflow and integrates air intake panels that help regulate your body temperature. 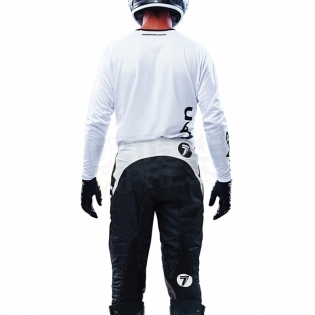 These Seven MX Annex pants also incorporate heat an abrasion resistance top grain leather to protect your knees from the heat radiating off of your exhaust pipe, and engine. 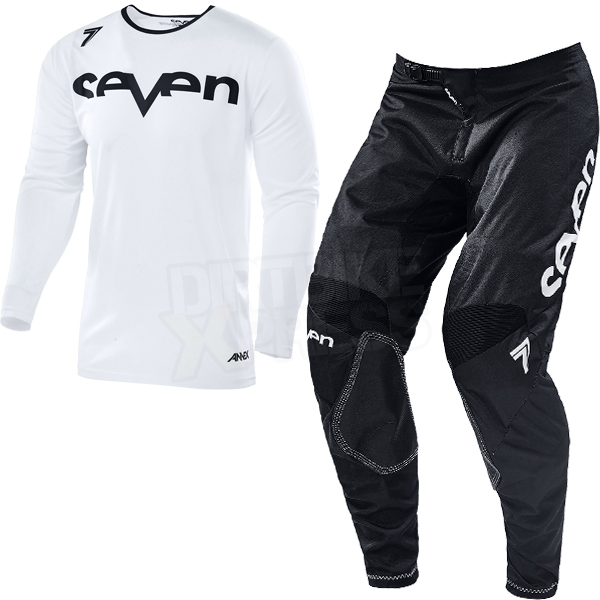 These are some of the best motocross pants on the market and Seven MX designed them flawlessly. Click Here for Waist Measuring Guide!